The Friends of the Library have generously donated museum passes for use by Glen Rock residents. Passes will be checked out onto a patron’s library card and are due two days after borrowing (passes are never due on Sundays or when the library is closed). See our full policy for more information. 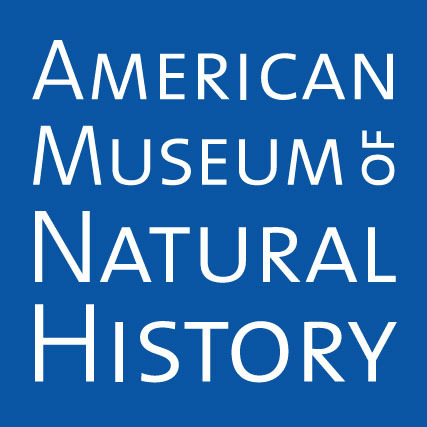 One of the largest museums in the world, The American Museum of Natural History offers a collection of over 33 million items which are displayed on a rotating basis. Located right across the street from Central Park, it offers a planetarium, 45 exhibition halls, and a library. Each coupon admits 1 person . Using this coupon helps you save up to $28.00. Coupons are limited to 1 per family per year and available at the reference desk for Glen Rock Library card holders in good standing. This Upper East Side museum boasts five floors where children can have fun exploring hands-on exhibits. Workshops and performances are available for no additional fee. Each pass admits 4 guests (2 adults and 2 children, or 1 adult and 3 children). Using this pass helps you save up to $56.00. The Frick Collection is an art museum housed in the Henry Clay Frick House on the Upper East Side of Manhattan that exhibits masterpieces by artists such as Bellini, Rembrandt, Vermeer, and Goya. Each reservation admits 2 adults. Please note children under ten are not admitted. Using these passes help you save up to $44.00. The Guggenheim is a modern and contemporary art museum designed by the famous architect Frank Lloyd Wright. They have a continuously expanding collection and featured exhibits that change throughout the year. Each pass admits 4 adults or students. Using this pass helps you save up to $100.00. This floating American military and maritime museum is housed on the former WWII aircraft carrier located on the west side of Manhattan. Visitors have access to the submarine USS Growler and the Space Shuttle Enterprise. Great for all ages. This pass admits 6 people. Using this pass helps you save up to $198.00! Located in Liberty State Park, Liberty Science Center is committed to inspiring the next generation of scientists and engineers through fun, interactive science and technology exhibits. No pass required. Bring your valid Glen Rock Library card with you when you visit to receive a $3.00 discount on admission. Discount applies to the cardholder and cannot be combined with any other offer. Located just 30 minutes south of Glen Rock, the Montclair Art Museum is the first museum in NJ that granted access to the public. They exhibit American and Native American art and run educational programs. Each pass admits 2 adults and any children from their household. Using this pass helps you save up to $24.00. The Morris Museum's mission is to elevate the cultural consciousness, excite the mind and enhance the quality of life by advancing the understanding and enjoyment of the visual and performing arts, natural and physical sciences and humanities. Each pass admits 2 adults and 3 children. Using this pass helps you save up to $41.00. Storm King Art Center is an open-air museum located in Mountainville, New York (approximately 45 minutes from Glen Rock). They house one of the largest collections of contemporary outdoor sculptures in the country. They have a variety of rotating exhibits that compliment their permanent collection and are open from April through November. Each pass admits 2 adults and up to 4 children from the same household. Using this pass helps you save up to $68.00.